Perhaps I seek certain utopian things, space for human honour and respect, landscapes not yet offended, planets that do not exist yet, dreamed landscapes. The Fall Semester will end on Friday, January 25. Fall Semester report cards will be available on Veracross as of Monday, February 3. EAL Film Program for Introduction to MS Academic English (Mrs. Guarnieri Rosso’s class): Students are required to attend the second film session on Friday, February 8, from 15:30–17:30 and on Saturday, February 9, from 10:00–12:00. They will be watching Hugo Cabaret. Wednesday’s assembly was led by Ms. Lynne Mendelsohn, TASIS’s Serving Southern Africa partner Lynne Mendelsohn, who gave up her comfortable life as a corporate lawyer in the UK to move to Zambia and devote her days to helping impoverished children gain access to education. Ms. Mendelsohn talked about extreme poverty and the ways that students can make a difference, drawing upon her personal experience as the owner of Zig Zag Town Lodge in Zambia. Zig Zag is committed to long-term, meaningful, and sustainable engagement with the local community. See the full presentation from the assembly. During the Advisor block on Thursday, January 17, School Counselor Pam Waters led an assembly dedicated to kindness and conflict resolution. The Fall Semester Magnificent Seven Award Ceremony will be held on Wednesday, January 30. Last Chance to Register for Yoga Marathon! The “Serving Southern Africa” Yoga Marathon will kick off tomorrow morning at 9:00 and will feature yoga classes until 17:00, a healthy lunch provided by Beautyful Greens, and a raffle with many exciting prizes. All proceeds will benefit Serving Southern Africa, an Opsahl Global Service Program group that travels to Zambia and Botswana for two weeks each year. 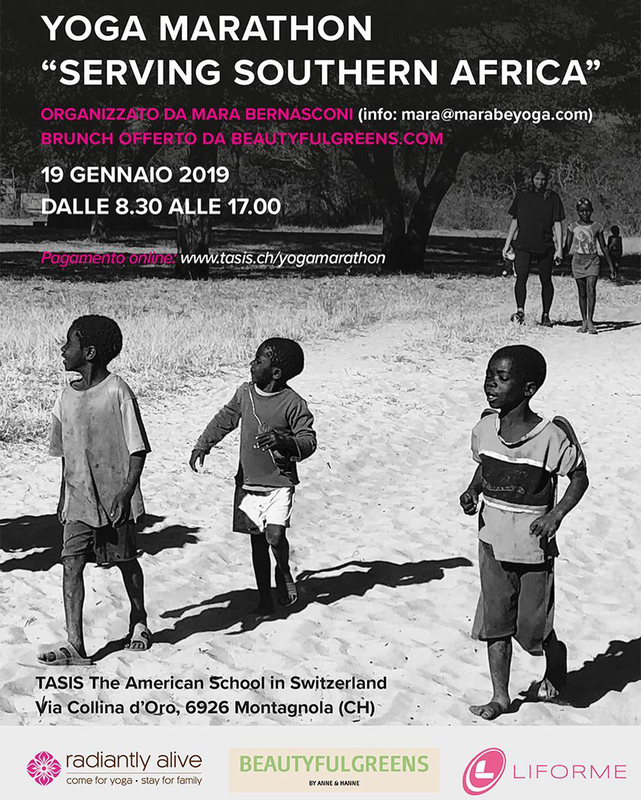 Please visit tasis.ch/yogamarathon to register for yoga classes and see more details about this community-building event. 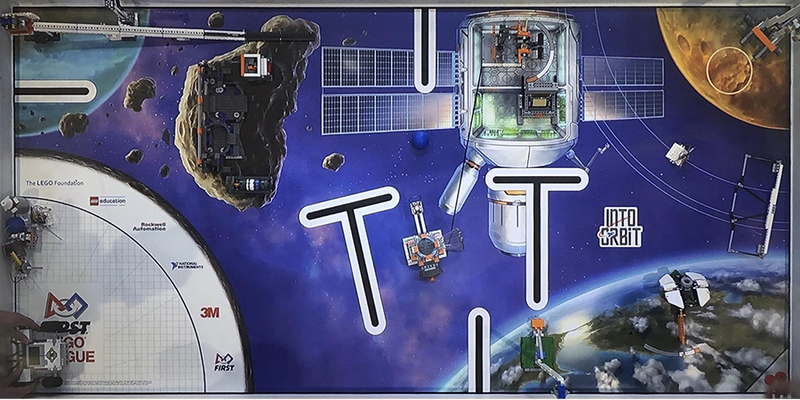 Robotics: Led by Middle School Science and Computer Science Teacher Amy Bloodworth and Middle School Math Teacher Claire Thomas, who co-founded the TASIS After-School Robotics Club in the fall of 2018, 21 Middle School and Elementary School students used the LEGO MINDSTORMS® platform to design, build, and program robots at a Swiss FIRST LEGO League Regional Robotics Tournament in Bellinzona on January 12. This talented group of students competed for nine grueling hours and came away with two team awards! 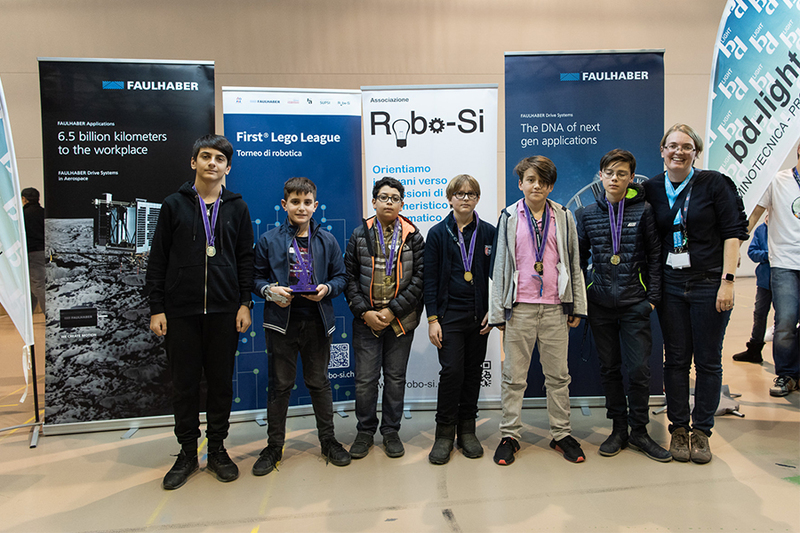 Learn more about their impressive accomplishments on the TASIS website. MS Ski and Snowboard Club: The second ski and snowboard outing will be on Sunday, January 20. The bus will depart from the main parking lot at 7:30 and return at approximately 17:00. All students must bring their equipment. Boarding students will be provided with a sack lunch but may eat at the restaurant at their own expense if they wish. Day students may bring their lunch or eat at the ski resort restaurant at their own expense. This Sunday, the club is going to Savognin. In case of an emergency on the day of the outing, please contact one of the TASIS Ski and Snowboard Club leaders at 079 393 6196. Both the MS Boys and Girls Basketball teams will host American School of Milan (ASM) on Thursday, February 7, at 16:45 in the Palestra. On Friday, February 8, MS students will celebrate Valentine’s Day in the Palestra from 19:00–20:30. Students are asked to wear a piece of clothing or an accessory that is red or pink. Dress code is casual smart (no t-shirts, ties are not required, and elegant jeans or trousers are allowed). Students are required to arrive by 19:00 and will not be allowed to leave until 20:30. This special event is organized by the Event Planners Service Learning Group. The TASIS community will host its annual International Week in February. MS students will participate in the Parade of Flags, the Middle School World Cup Soccer Tournament, International Brunch, and much more. 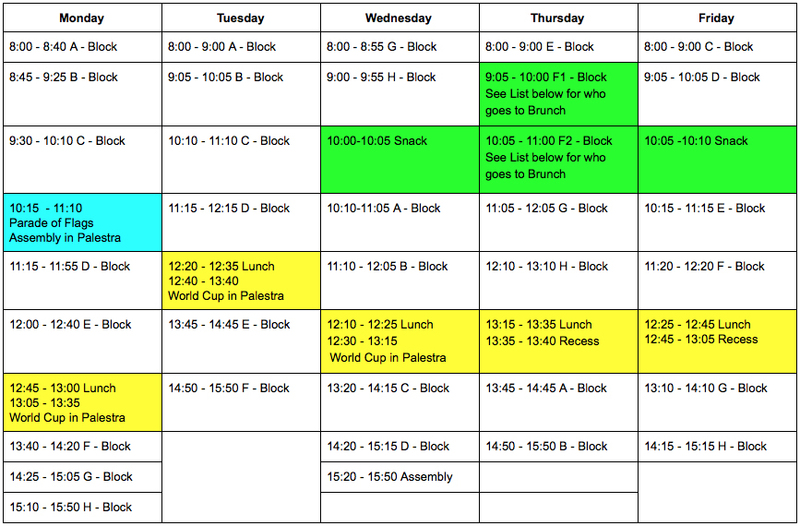 Please see the schedule of International Week events. We will hold parent-teacher conferences on the afternoon of Wednesday, February 20, and students will have an early dismissal that day. Registration for conference times will open on Friday, February 15. We look forward to seeing you on the 20th. If you plan to take your child directly to the hotel in St. Moritz on February 25, please email your child’s advisor and Ms. Breton with the specific information at least one week before departure. If your child is a day student and needs to take medication during Winter Adventure, it is important that you talk to the advisor beforehand. Two school nurses will also be available on site. This is a reminder that all TASIS parents are cordially invited to an Italian Potluck hosted at the home of Francesca Varano in Montagnola on Thursday, January 24, at 12:00. Please bring your favorite dish to share and confirm your attendance by sending an email to tpa@tasis.ch. 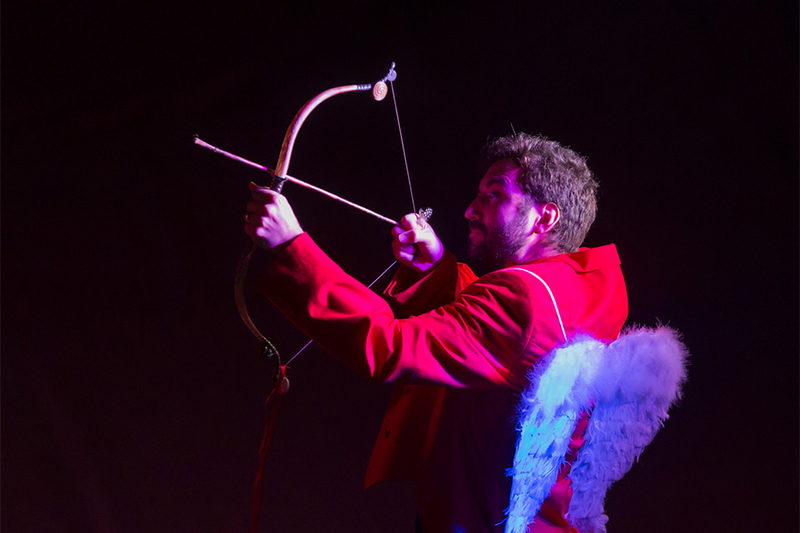 The Cultural Events Program at TASIS provides valuable cultural opportunities both on and off campus that are geared toward aspiring student artists. All members of the TASIS community (students, faculty, staff, parents, alumni, and friends of the School) are welcome to attend cultural events that take place on campus while off-campus trips are reserved for students and their chaperones. Upcoming events include the annual Winter Photography Exhibition, in which the work of TASIS student photographers will be presented in the Palmer Center, on January 25–27 (anyone is welcome); an overnight trip to Basel to visit the Vitra Design Museum and see Grünewald's Isenheim Altar on January 25–26 (for TASIS students only); and a performance by the renowned Archimia Quartet in the Palmer Center at 19:00 on January 31 (anyone is welcome, required for 10th-grade students). See the Cultural Events calendar on the TASIS website for more information about upcoming events. The next TASIS Speaker Series (TSS) event will be a visit from distinguished screenwriter and playwright Mike Lesslie, who will address the seniors on Tuesday, February 5, at 19:00 in the Palmer Center. Mr. Lesslie is best known for writing the screenplays for major film productions of Macbeth (2015) and Assassin's Creed (2016) and has also amassed many playwright credits. In partnership with the TPA, TASIS is opening all TSS events to parents who would like to attend the lectures. Any parents who would like to attend Mr. Lesslie's address on February 5 should send an email to TSS Committee Chair Peter Locke to reserve a seat. As mentioned before the holidays, Resort Collina d’Oro in Agra is offering a 10 percent discount to TASIS families interested in a six-month or 12-month membership to the resort’s Spa and Fitness Center. All TASIS parents and TASIS students aged 16 and over are eligible for this discount. 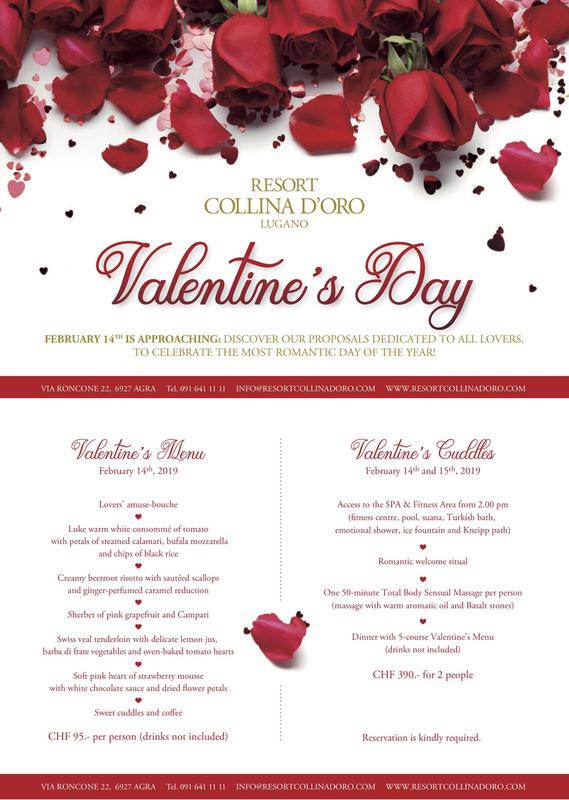 Contact Resort Collina d’Oro at +41 91 641 1111 or info@resortcollinadoro.com with any questions. The resort also invites TASIS families to take part in its upcoming Valentine’s Day celebration. See below for details.